Several Criterion Blu-ray movies are on sale for over 50 percent off at Amazon! In another limited time sale, Amazon has lowered the prices on a fair number of Criterion Blu-ray titles. 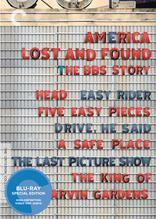 Some highlights include 'Blow Out' for $18.99 'America Lost & Found: The BBS Story' for $52.99 and more! Click here to check out the full selection currently on sale at Amazon!